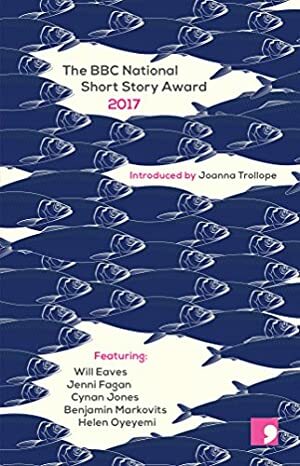 The stories shortlisted for the BBC National Short Story Award with BookTrust 2017 all feature characters that are disconnected, willingly or unwillingly, from those around them: a mysterious out-of-towner is shunned by her new colleagues; a grieving husband retreats into his old compulsion for hoarding; a promising academic risks his career for a casual liaison with a younger man. And whether we follow the characters' need to be alone - like the fisherman drifting dangerously far from shore - or trace it back to its root - like the daughter burying her violent father - what we find there is always unexpected. This year's shortlist was selected by authors Eimear McBride, Jon McGregor and Sunjeev Sahota, as well as BBC Radio's Di Speirs and acclaimed novelist Joanna Trollope who chaired the panel and introduces the collection. Track It. This book has been $5.01 within the past year. Log In to track Benjamin Markovits on eReaderIQ. to be notified each time the price drops on any book by Benjamin Markovits. to stop tracking Benjamin Markovits. Log In to track Cynan Jones on eReaderIQ. to be notified each time the price drops on any book by Cynan Jones. to stop tracking Cynan Jones. Log In to track Joanna Trollope on eReaderIQ. to be notified each time the price drops on any book by Joanna Trollope. to stop tracking Joanna Trollope. Log In to track Will Eaves on eReaderIQ. to be notified each time the price drops on any book by Will Eaves. to stop tracking Will Eaves. We started tracking this book on September 20, 2017. This book was $8.57 when we started tracking it. The price of this book has changed 12 times in the past 577 days. The current price of this book is $5.20 last checked one day ago. This lowest price this book has been offered at in the past year is $5.01. The lowest price to date was $5.01 last reached on December 20, 2018. This book has been $5.01 one time since we started tracking it. The highest price to date was $8.57 last reached on September 20, 2017. This book has been $8.57 one time since we started tracking it. We last verified the price of this book about one day ago. At that time, the price was $5.20. This price is subject to change. The price displayed on the Amazon.com website at the time of purchase is the price you will pay for this book. Please confirm the price before making any purchases.